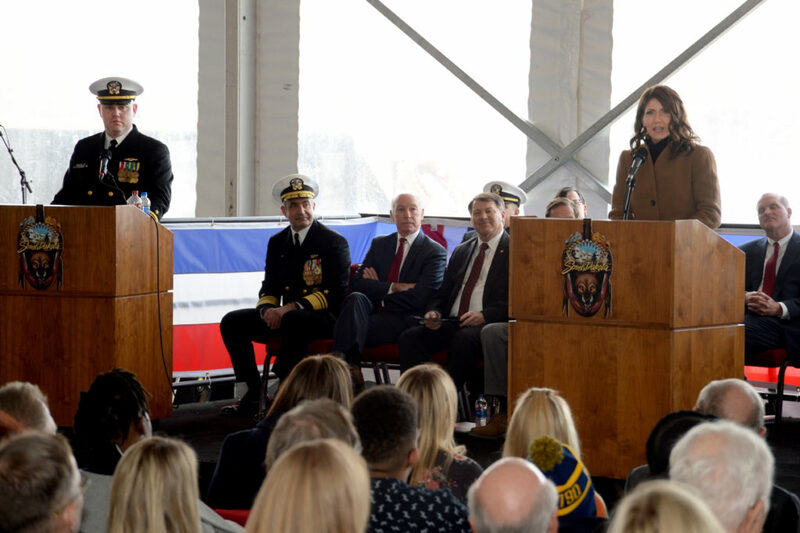 South Dakota began 2013; the submarine’s keel was authenticated during a ceremony on April 4, 2016; and the submarine was christened during a ceremony Oct. 14, 2017. This entry was posted in Commissionings and tagged commissioning, commissionings, uss south dakota. Bookmark the permalink.